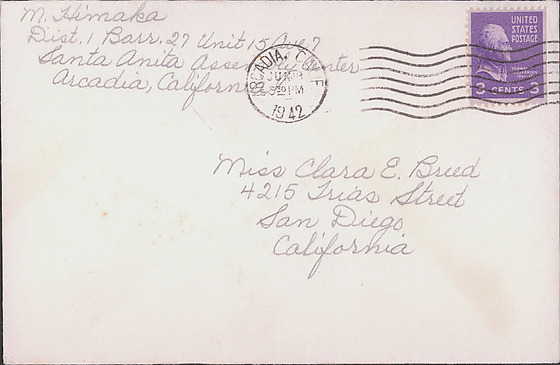 1 letter and envelope from Mizue Himaka to Clara Breed. 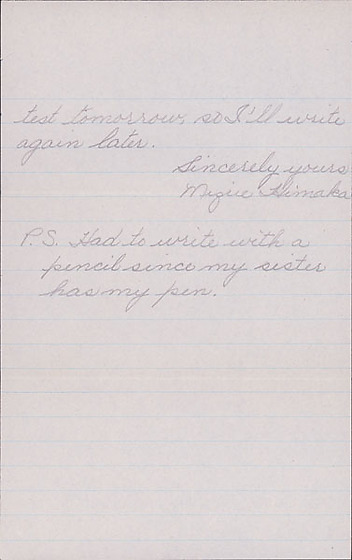 June 17, 1942 / Dear Miss Breed / How are you? I am fine now and going to school every day. Thank you again for the book. I enjoyed the book very much. I am going to school in grandstand where it is cool on hot days. The weather over here is cold morning and night and hot during the afternoon. 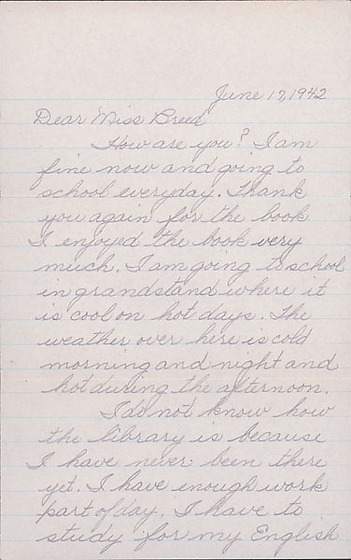 / I do not know how the library is because I have never been there yet. I have enough work part of the day. I have to study for my English test tomorrow, so I'll write again later. / Sincerely yours / Mizue Himaka / P.S. Had to write with a pencil since my sister has my pen.